Jack Schoolfield, 91, of Salina, Oklahoma, passed away on Wednesday, April 3, 2019 in Claremore, Oklahoma. He was born on November 22, 1927 in Ninnekah, Oklahoma; the son of John A. and Eva (Johnston) Schoolfield, growing up on a farm during the Great Depression and Dust Bowl. He attended and graduated from the Ninnekah High School in Ninnekah, Oklahoma. He enlisted in the United States Navy in late 1945 serving until 1947. He was discharged and the recalled in 1951, to serve in the Korean War until 1953. After his military service he worked for several drilling outfits, Shell and Slumber J, and also some seismology work. He went to work for Western Electric in Oklahoma City in 1954. He was married to Patricia Ann Kruse on August 17, 1954. They raised their children around the Oklahoma City and Del City area until 1973, when the family moved to Tuttle, Oklahoma. He retired from AT&T in 1987 and worked as an Installer for Western electric which became AT&T. He was a fantastic Dad and truly dedicated to his wife and children. He lived his later years on his 40 acres between Kenwood and Salina, Ok. He was a great mechanic and loved to fix things both electrical or gas powered. While my brother and I were growing up, he helped us with Numerous vehicles. Changing out motors, transmissions or what ever had to be done to get them working again. Jack was a God-loving and God-fearing man, and was very much loved by those of us that had the privilege to be his children or to know him. Funeral services will be held at 2:00 P.M. Monday, April 8, 2019 in the First United Methodist Church of Pryor with Reverend Roger Parker officiating. Burial will follow in the Ross – Mayes Cemetery with John Schoolfield, David Cole, Lee Marbach, Jeff Schoolfield, and Paul Schoolfield serving as casket bearers. Visitation will be held from 1:00 p.m. until 5:00 p.m., Sunday, April 7, 2019 in the Shipman’s Funeral Home Chapel. To leave his family a message, please visit his Tribute Wall at www.shipmansfuneralhome.com. 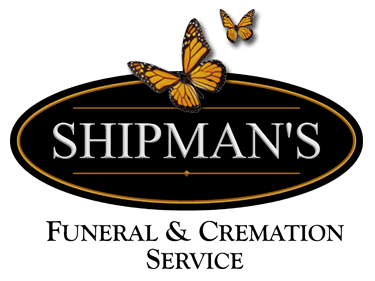 Arrangements are under the direction of Shipman’s Funeral & Cremation Service. Jack is survived by his sons, Jeff and wife Ginger Schoolfield of Ardmore, Oklahoma, and Paul and wife Maria Schoolfield of Locust Grove, Oklahoma; his daughter Susan and husband Lee Marbach of Indianapolis, Indiana; seven grandchildren; and one great grandchild on the way. He was preceded in death by; his parents, his wife Patricia in 2005, 2 daughters Lauri Ann Schoolfield in 1963, and Judith Marie Roland in 1986.